Virtual assistants seem to be everywhere one turns today, both online and in the physical world. From voice-controlled gadgets like Google (NASDAQ: GOOGL) Home and Amazon’s (NASDAQ: AMZN) Echo to the virtual chatbots some organizations’ websites use to greet visitors, these tools are attempting to help people get their questions answered more quickly. But some chatbots, like one developed by Buoy Health that provides users with information about health symptoms they’re experiencing, are designed to be more than just a knowledgeable conversation partner. On Tuesday, Boston-based Buoy announced a partnership with the Rhode Island-based retail pharmacy giant CVS Health (NYSE: CVS) aimed at making it simple for some patients who use Buoy’s app or website to get checked out at one of the 1,100 healthcare clinics CVS’s subsidiary MinuteClinic operates across the country. Some industry observers believe CVS, which bestrides the healthcare and retail industries, will continue to benefit as more patients receive care outside of hospital settings. That’s where care—and real estate—tend to be most costly, leading to a so-called “retail-ization” of healthcare in areas like medical imaging. 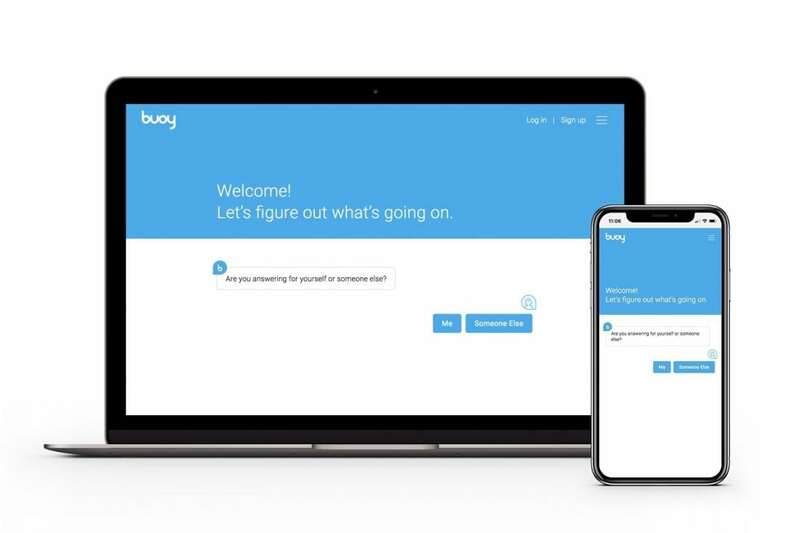 Buoy, meanwhile, wants to compete with Google, WebMD, and other online destinations for patients who wake up with back pain or a severe cough, say, and want to get more information. The startup’s tools can help a user determine if his or her symptoms are serious enough to merit a trip to the emergency room, an urgent care facility, or a walk-in clinic, such as the ones CVS operates, says Andrew Le, Buoy’s co-founder and CEO. Buoy’s software searches through thousands of published medical papers in order to determine the most likely diagnosis, Le says, and what type of healthcare facility is most appropriate for the patient to visit. If it’s a walk-in clinic, Buoy’s chatbot will communicate that to the patient and, thanks to the new partnership, display details about the nearest CVS MinuteClinic location, he says. In the event that the patient decides he or she wants to visit that clinic and be seen by a healthcare provider there, the person can click a button within Buoy’s menu to reserve the next place in line. Buoy’s news release announcing it’s collaborating with CVS did not contain any specific financial terms. Le says the two companies “are still figuring out the economic and commercial terms” of the partnership. “We haven’t really gotten into exactly how the commercial arrangement will work,” he says. But it sounds like Buoy is taking steps to ensure users trust that its chatbot’s recommendations are unbiased. Buoy will not receive fees from CVS for referring patients to the retailer’s clinics, Le says. And working with CVS didn’t lead Buoy to tweak its algorithms so the chatbot would steer more patients to a MinuteClinic, he adds. 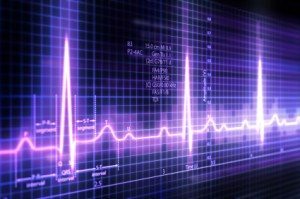 It’s still just as likely to recommend other options, he says, such as a visit to one’s primary care physician, or another doctor, reached via telemedicine software. Buoy has not yet configured its software to be able to share information users enter about themselves and their symptoms with CVS’s computerized patient records system, Le says. “That may be something that we entertain down the road, but that’s not part of the early roadmap,” he says.